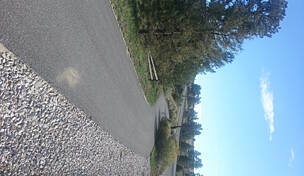 Trail end points: Camel Pl. 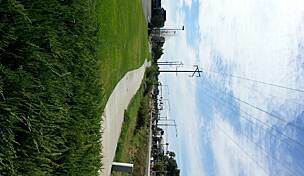 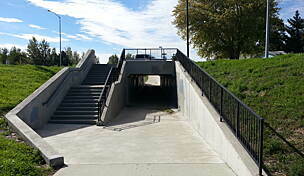 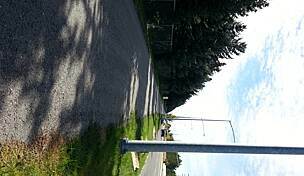 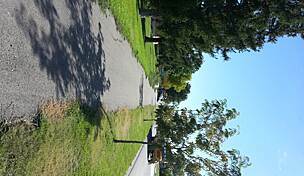 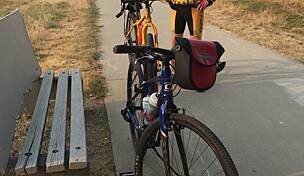 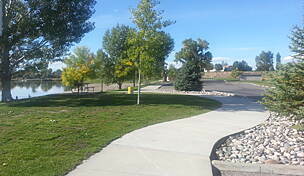 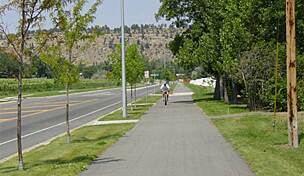 and Aronson Ave. and Swords Park Trail at Alkali Creek Rd. 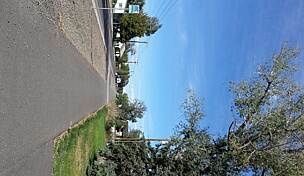 The Aronson Avenue Trail offers a paved half-mile route along the west side of its namesake roadway with views of open countryside. 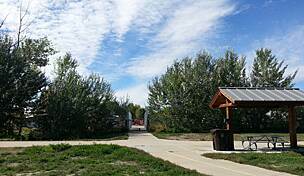 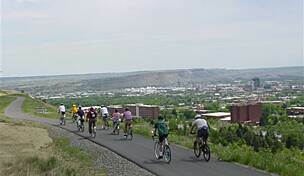 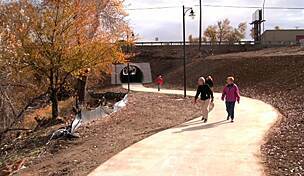 From its southern end, you can connect to the scenic Swords Park Trail and Alkali Creek Trail. 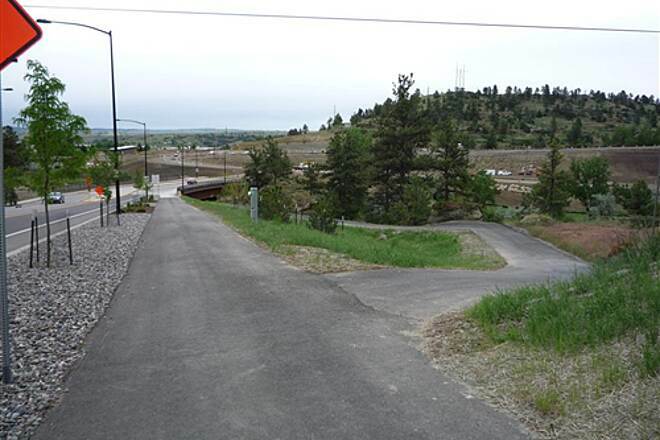 A dirt parking lot is available north of Aronson Bridge.